First up, the Brooklyn Historical Society is hosting the participatory workshop “Performance as Tool for Social Justice” this Wednesday evening. The program will be led by Bryan Doerries — who uses performance of classical literature to confront and heal trauma — and Shaun Leonardo — who similarly practices participatory performance to examine vulnerability, power and loss. Together, the two will take attendees through demonstration, discussion and audience participation to confront current social issues. When: Wednesday, Dec. 5, 6:30-8:30 p.m.
Where: Brooklyn Historical Society, 128 Pierrepont St.
Next, head over to the Minor Latham Playhouse at Barnard College for a performance of “Colony Collapse” by Stefanie Zadravec. 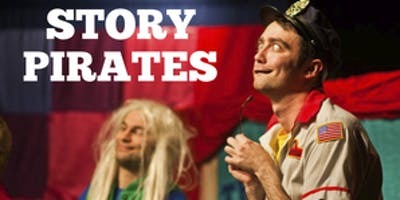 When: Thursday, Dec. 6, 8-10:30 p.m.
Catch “The Story Pirates Flagship Show” this Sunday at the Upright Citizens Brigade Theatre. The stage show features a cast of NYC comedians and musicians performing stories written entirely by children. And as a bonus, audience members get free cookies. When: Sunday, Dec. 9, 12-1 p.m.
Where: Upright Citizens Brigade Theatre, 555 W. 42nd St.
“The Hello Girls” musical — coming to 59E59 Theaters this Wednesday through Friday evenings — chronicles America’s first women solders. Presented by Prospect Theater Company, tells the story of intrepid women who served as bilingual telephone operators on the front lines, helping to turn the tide of World War I, then returned home to fight for equality and recognition for decades. When: Wednesday, Dec. 5-Friday, Dec. 7, 7 p.m.
Where: 59E59 Theaters – Theater A, 59 E. 59th St.
Where: Producers’ Club, 358 W. 44th St.